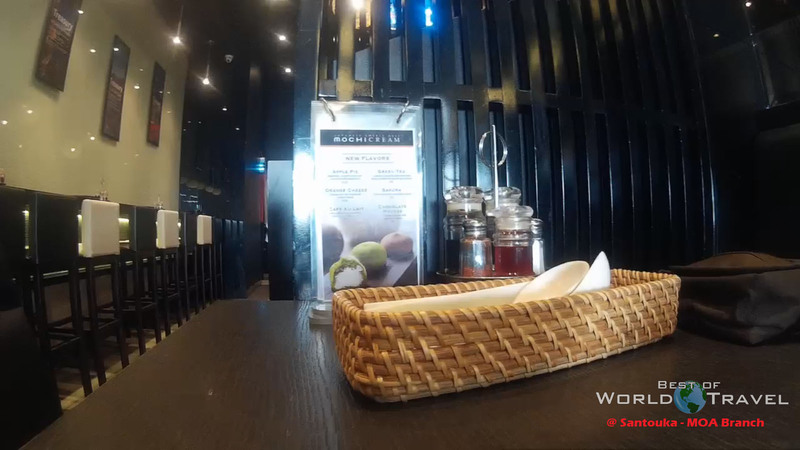 Hokkaido Ramen – Santouka Restaurant Review. A Perfect Ramen Shop! If you have been craving for a precious big bowl of Ramen, Hokkaido Ramen – Santouka is the answer! YES, they can be found in different countries aside from Japan! Hokkaido Ramen – Santouka, or simply “Santouka” is a Japanese-based Restaurant that boasts its perfectly delicious Tonkotsu soup that is added to their each and every Ramen. These soups are said to be prepared with pork bones for at least 20 hours before adding the other ingredients in order to deepen the flavor of the menu. In this article, I will tell you the story of our trip in order to take an adventure to a Japanese themed restaurant! A short Hokkaido Ramen Santouka Review! Once upon a time, there were two travelers that were very exhausted on traveling the depths of Manila, Philippines. They traveled the city for the whole day enduring the heavy traffic and heat of the sun. During the day’s closure, they decided to visit the Mall of Asia in order to replenish their energy. And behold, they stumbled upon on the Hokkaido Ramen – Santouka Restaurant. The Hokkaido Ramen – Santouka restaurant’s position can be found a bit too far from civilization. But, for your information, their MOA branch is perfectly placed in front of the ocean that will just show you an amazing view with your friends and love ones. Yes, you can find it near the seaside on the second floor of the Mall of Asia. The air was extremely cold because of the breeze coming from the sea…. and it was also because an impending typhoon was near us. Even so, we tried to dine in the restaurant because of the urge to taste the sweet flavor of a “Naruto” or “Narutomaki”. I have always been craving to eat a naruto because it is said to be awesome when ate with a Ramen. Upon entering the restaurant, I felt that there was a different aura inside the diner. The walls were mostly covered with black and shiny white paint that somewhat made me feel at ease. it also gave a cool and calm feeling upon us. 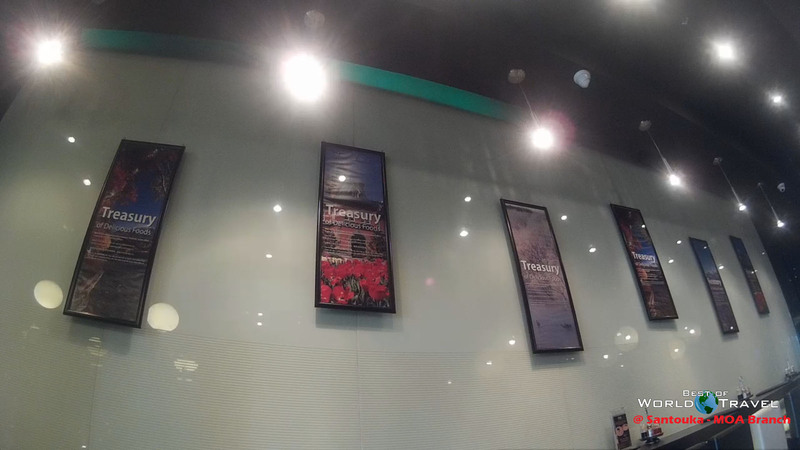 We also saw a couple of photos framed and hanged on their wall with a quote ” Treasury of Delicious Foods”. And I think it really suited their restaurant because of the top class Japanese food that were served upon us. There were only a few tables in front, and the place was a bit elongated and tight compared to the other restaurants that are wide. You can not do some splitting techniques here or even make some dance moves! Well, we went there to eat and not to dance though. The diner’s width could only be two meters and a half up to three meters only. While the length can be up to 15-20 meters long. Even so, it was a great place for our “energy replenishing plan”. They have a great team that entertained us, at first they greeted us in Japanese. The girls there were very friendly and always smile to their costumers. They were neat and kind looking. One raise of our hand and they surely approached us. One thing about their Japanese language was a bit different from what I knew. They mostly mispronounced “one-gai shi-masu” as “one-ge-shimas” (please take care with me, please or simply being humble). They used this phrase to call each other when they need assistance as well. But overall, I think their waitresses were awesome! Santouka specializes in Japanese foods, particularly in Ramen. It was my very first time to savor a tasty Ramen in my whole life… frankly speaking, I was actually a virgin on eating Ramen. The sweet savory flavor of the Santouka Ramen’s soup was awesome as well as their fully packed ingredients. We ordered two different flavors of their best selling cuisine and it were the Santouka Char Siu Ramen’s variations, the Miso Ramen and the Shio Ramen. You can check out our review about the Santouka’s Char Siu Miso Ramen and Shio Ramen. It were a bit pricey for a common Filipino people, but I think it will be great to purchase their best selling Ramen once in a while. It took us around 500 pesos (10-12 USD) each order, but I can assure you that the amount of money is worth the price. Our energy were greatly increased after eating a bowl of their best selling Santouka Ramen. A whole day of travel in Manila were nothing but a walk in the park after consuming their umami rich Ramen. It was really fulfilling and an awesome experience. 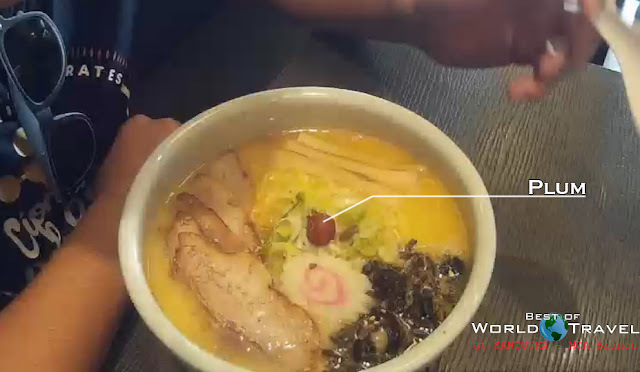 If you want to try some Japanese Ramen here in the Philippines, you may try to visit the Hokkaido Ramen – Santouka to six different branches in the country. You can also find them on different countries such as : USA, Canada, Hong Kong, Taiwan, Singapore, Malaysia, Thailand and of course the “Land of the rising sun”, Japan! For more information regarding the restaurant, check out their official website, here.